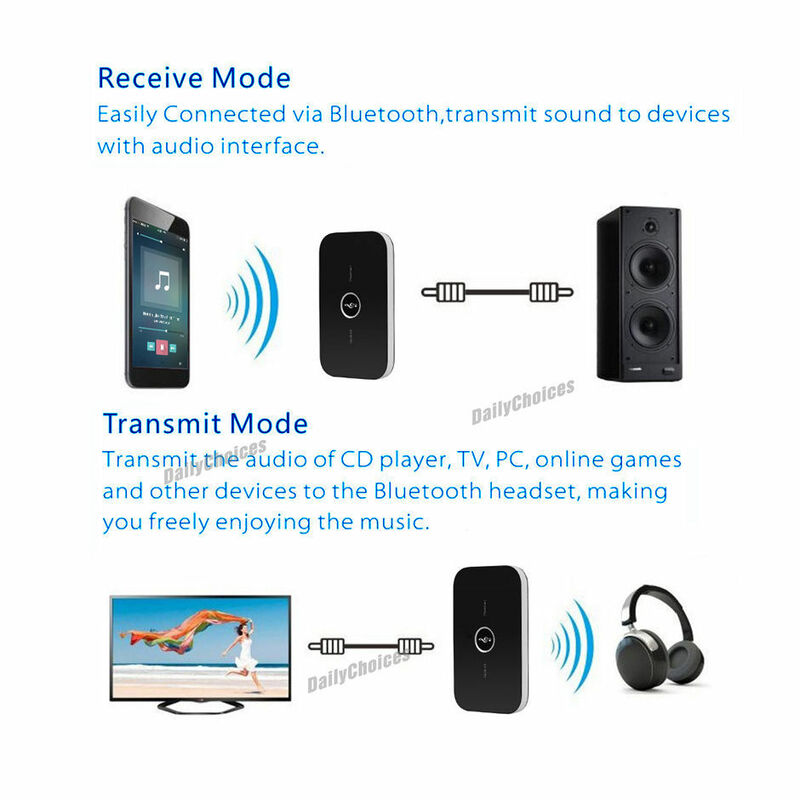 Two in one Bluetooth adapter with Bluetooth receive and Bluetooth transmit. 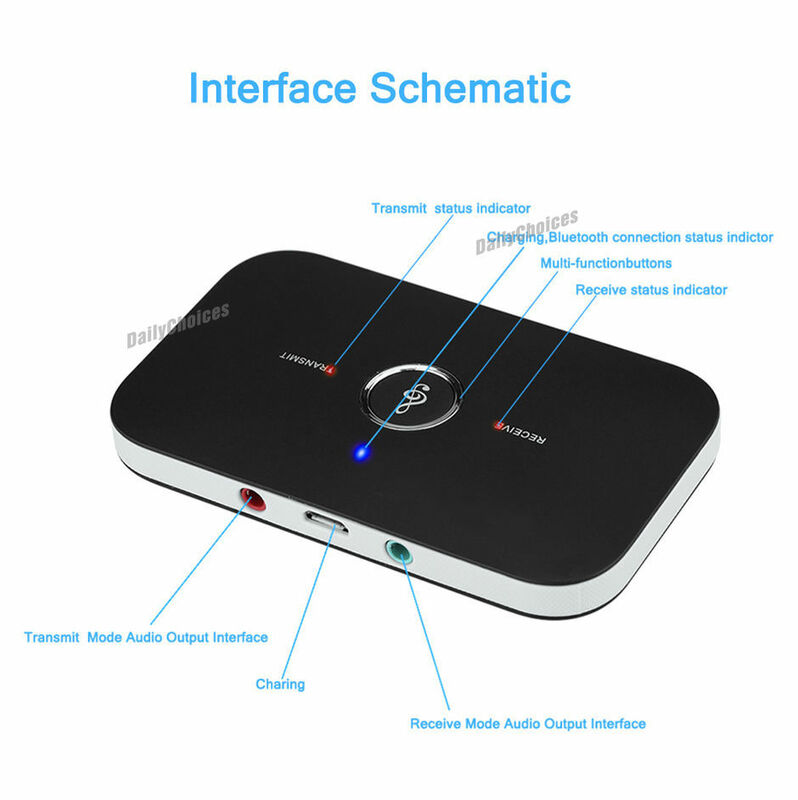 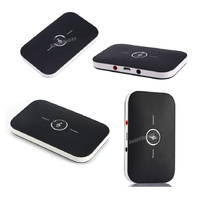 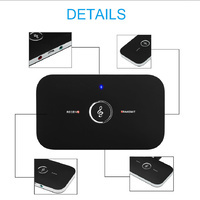 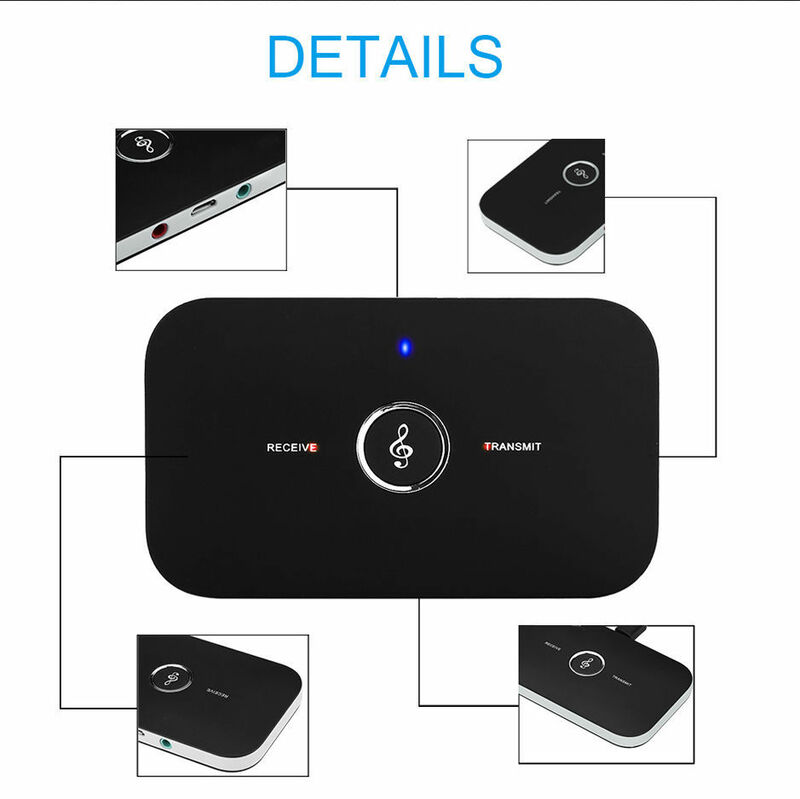 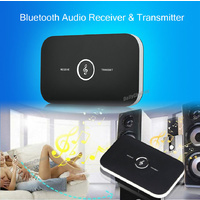 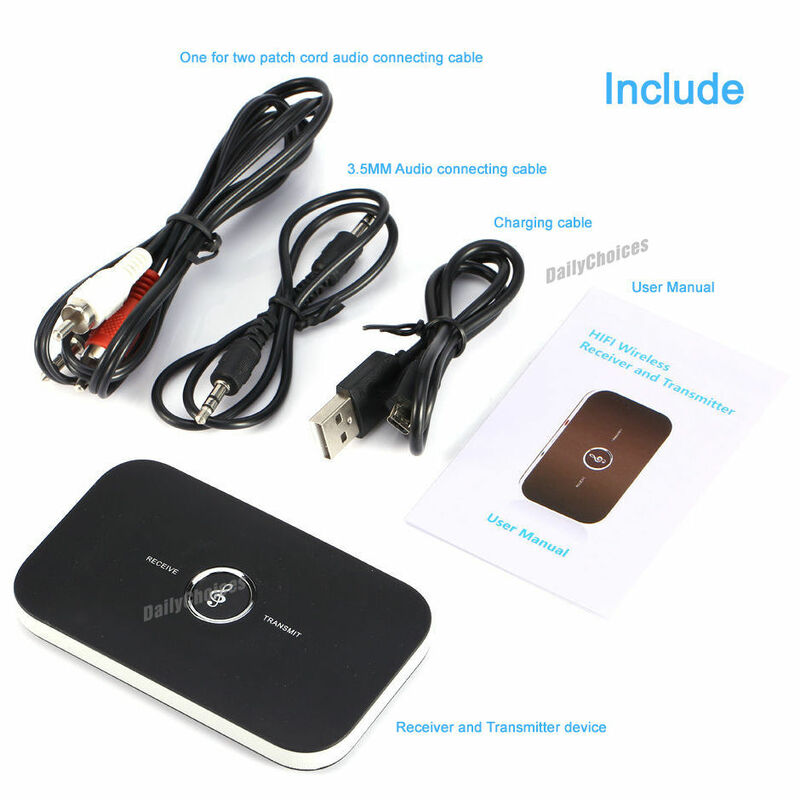 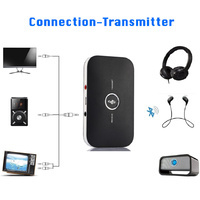 Bluetooth transmitter:add wireless function to your TV,PC,MP3,DVD player to enjoy wireless music sounds. 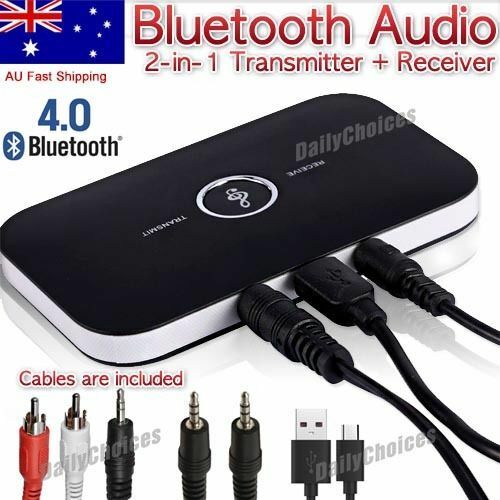 Bluetooth receiver:turn any speakers,headphones,stereo system to Bluetooth enabled. 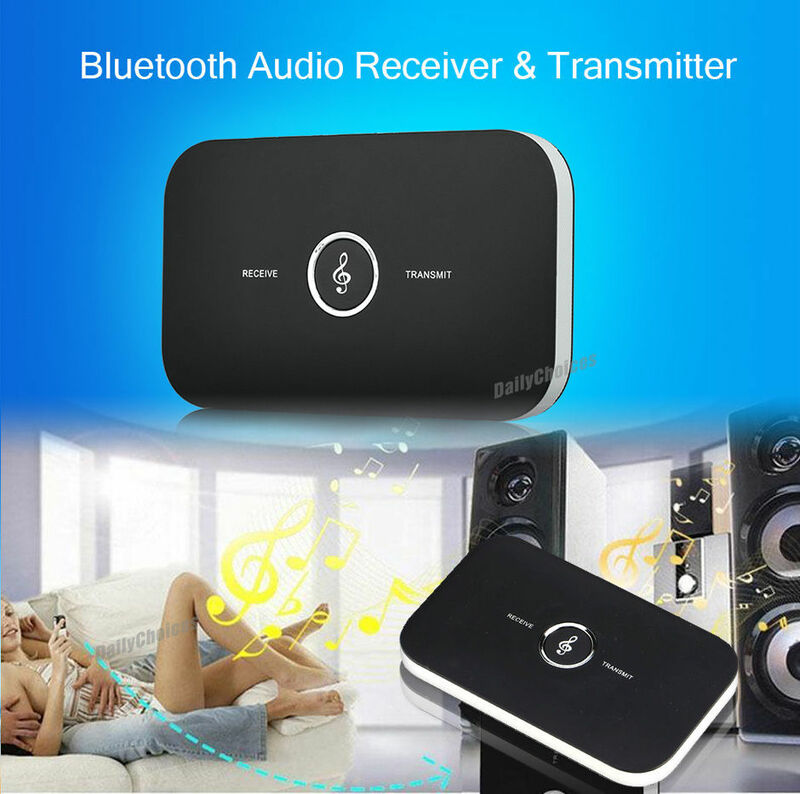 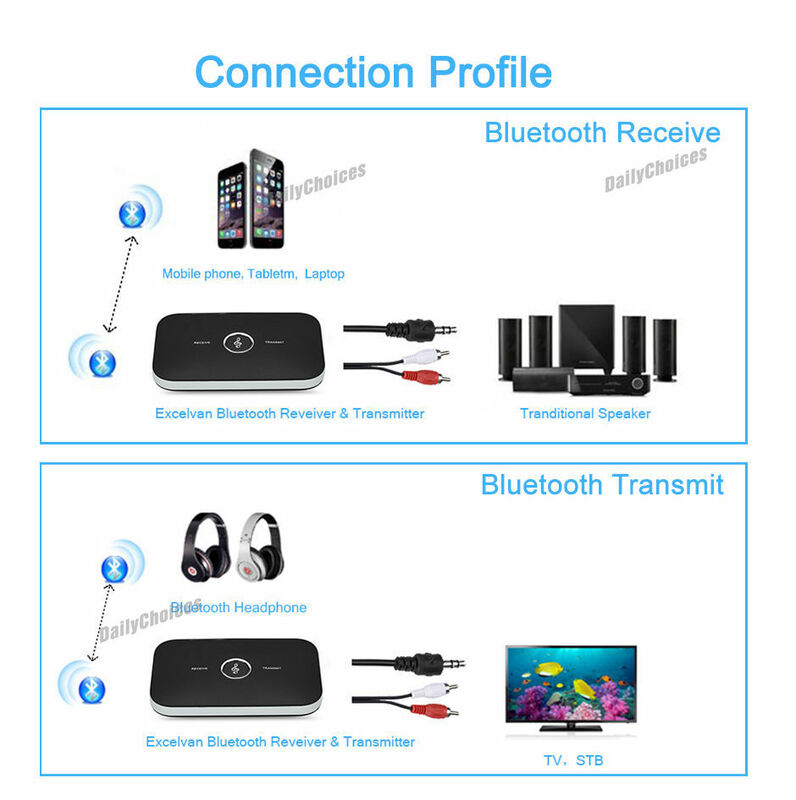 Bluetooth 4.1 for receiver & Bluetooth 2.1 for transmitter. 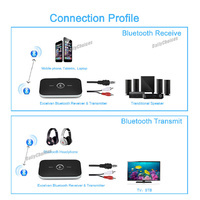 In the transmitter mode,if the connected bluetooth device is not you want,just press the multifunction key to make the adapter to search next one until find you want. 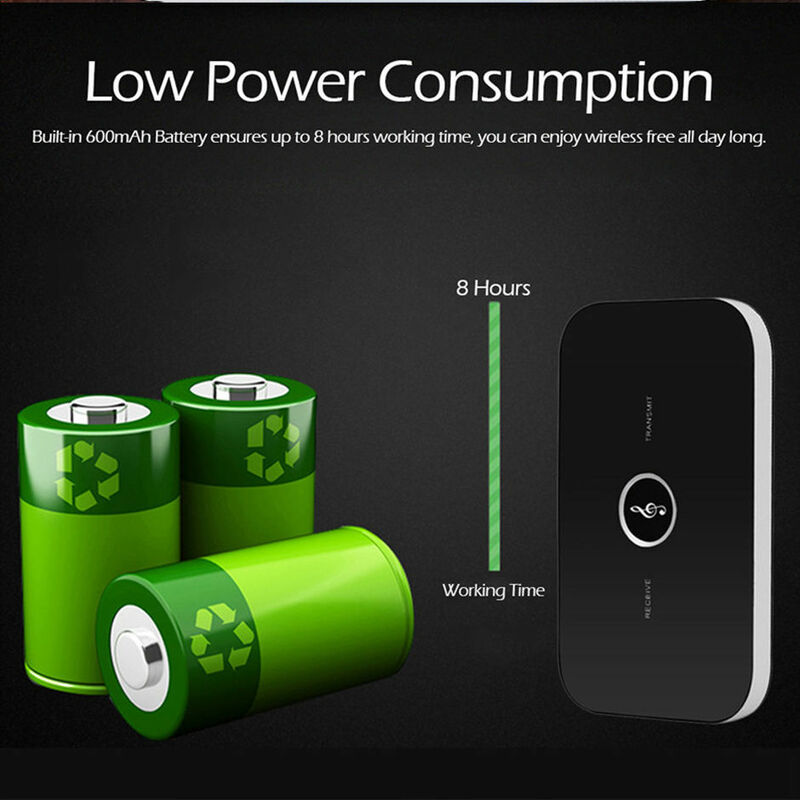 Battery capacity 600 mAh and battery life more than 8 hours. 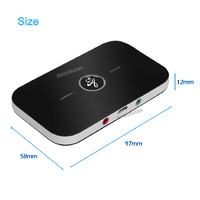 Red and Blue led indicator flashing to remind you the machine condition. 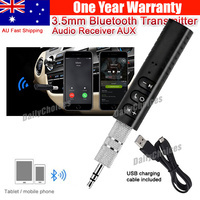 Can use the product normally while charging. 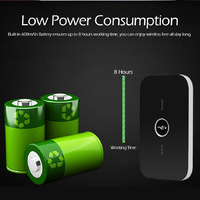 If there is no any devices connected with the adapter for 10 mins,it will turn into power-saving sleep mode and the light will turn off. 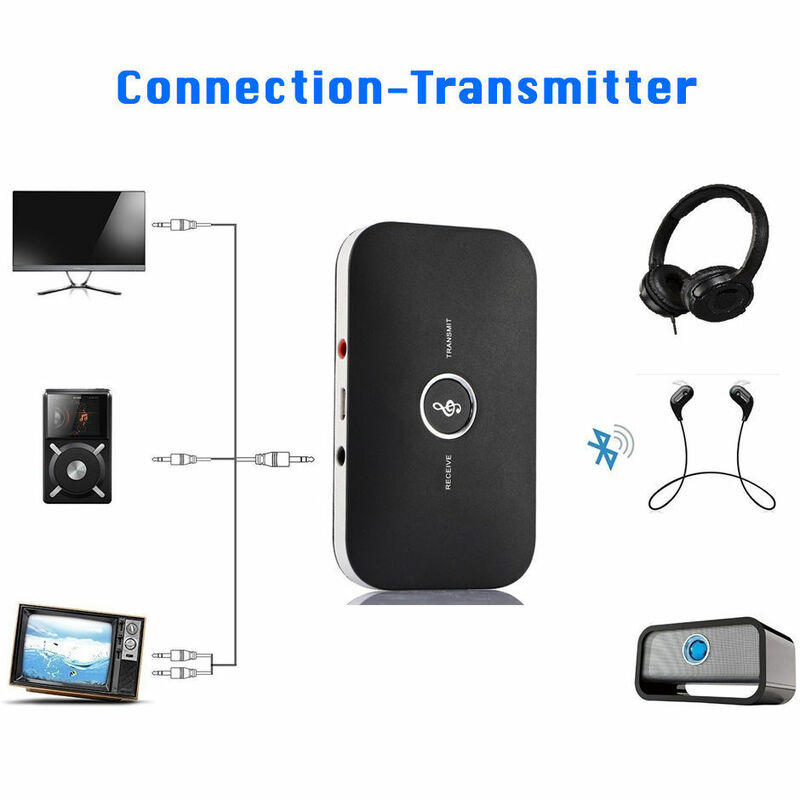 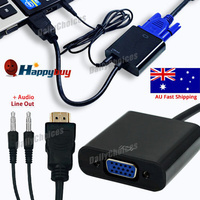 Compatibility:Compatiable with phones and PAD of Android/iOS system,and all Bluetooth audio devices.